Home » Super Growth » Ripple Rises 10-Fold In One Month. Cryptoccurencies Setting A Major Intermediate Top? Ripple Rises 10-Fold In One Month. Cryptoccurencies Setting A Major Intermediate Top? The price of Ripple rose ten-fold in just one month. That is how it goes with crypto-investing: prices rise and fall at the speed of light (proverbially). It is very hard to navigate this environment, so being extremely disciplined is one of the success factors. Moreover, trading less (“less is more”) but choosing the crypto-assets with a very high intrinsic value is an equally important success factor. 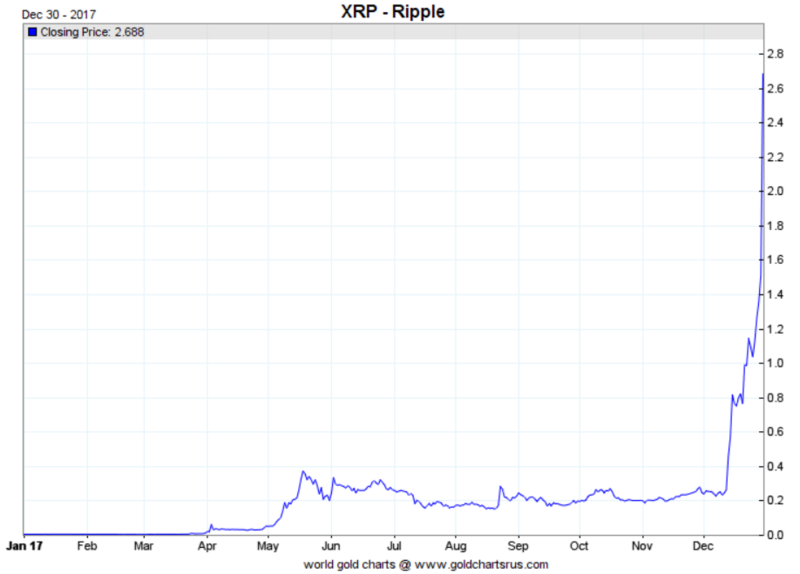 Ripple’s chart looks truly amazing. Astute readers remember that we continued to be (ultra) bullish when it was trading at $0.20: 3 Reasons Why Ripple Price Will Continue to Rise, A Must Read Ripple Price Prediction and Why Ripple’s Chart Continues to Look Awesome. Moreover, Ripple’s fundamentals look as good as they have never been before. Ripple is a company that was founded in 2012. It is part of Alphabet’s group (Google), and has already established client and partner relationships with more than 100 banks in the world. To date, this is the only cryptocurrency that has reached such a level of maturity in terms of company development, and product/market fit. That’s why we continue to hold Ripple, though we alerted our subscribers today that it is time to take some profits off the table. This is a time to offload because this is an extreme peak. We believe Ripple is setting an extreme peak today. After a 10-fold rise it is time to get defensive now, ideally sell your initial capital so you can keep all crypto for free, riskless. That is how to manage your portfolio, especially an extremely volatile asset like crypto. As Ripple is rising so hard we believe this could be a major though intermediate top. We saw exactly the same pattern in the first half of this year: first Bitcoin up sharply, then most altcoins with Ripple lagging behind, then Ripple rising strongly. It got followed by a mini-crash in all cryptocurrencies. We believe the same is happening now. This is NOT a time to get offensive, you sell in strength and buy in weakness. What’s next for cryptocurrency and blockchain investors? We believe that the next big thing will be blockchain stocks. We got a teaser in 2017 of how hard these stocks can rise. However, 2018 will be the breakthrough year for blockchain stocks. Only in Canada, on the Toronto Junior Exchange, there will be at least 50 new blockchain stocks coming on, mostly through reverse takeovers. 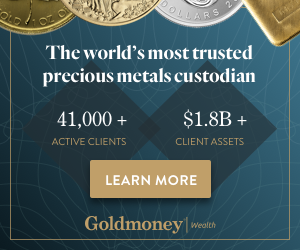 InvestingHaven in positioning itself and its subscribers with a unique service: the first Blockchain (Stock) Investing Research service in the world. We will also feature fintech stocks, and we will choose the top 3 to 5 ICOs (tokens) for our subscribers. Become a member, join us in this fantastic blockchain boom, because the pioneers in this space will book most of the profits.